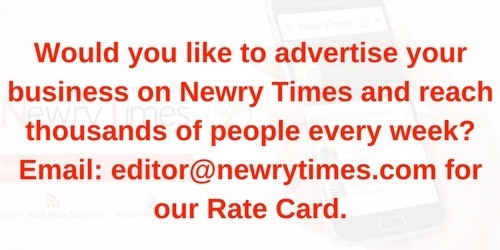 Employment and Learning Minister Dr Stephen Farry has urged individuals and businesses in Newry to think about the benefits skills can bring them. 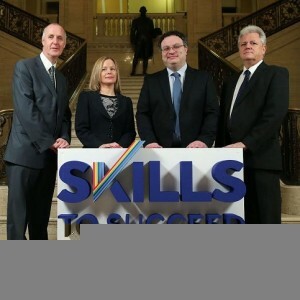 Dr Farry has launched a new ‘Skills to Succeed’ advertising campaign aimed at highlighting the importance of skills and qualifications for individuals, employers and the economy. The ‘Skills to Succeed’ campaign, which will run across a variety of media platforms including television, radio, outdoor locations and digital media, highlights the vital role that skills play in supporting individuals and employers and the range of programmes, initiatives and options that are available. The Minister said, “Skills are widely accepted as the key raw material in the modern knowledge-based economy and are a key driver in how we achieve our economic goals. Our main asset is our people. It is on the basis of their talents and skills that we will transform our economy, increase employment, raise productivity and compete globally. “The new ‘Skills to Succeed’ campaign will support the overall aims of my Department’s Skills Strategy ‘Success through Skills – Transforming Futures’. It aims to raise the skills level of the whole workforce, to ensure we are equipping people with the skills and qualifications that they need to achieve their full potential and to support our local businesses and the economy. “No matter what stage you are at in your career, whether starting out and making initial careers choices or deciding to upskill or reskill to improve your employability and career prospects, skills are vital at all levels and throughout everyone’s working life. Farry added, “For employers, my Department’s Skills Solutions Service can offer advice and guidance on the range of skills and training programmes available to support local companies.” The campaign encourages individuals and employers seeking to develop their own skills and those of their workforce to find out what programmes and assistance is available by visiting http://www.nidirect.gov.uk/skills or by calling 0300 200 7876. The ‘Skills to Succeed’ campaign will highlight a number of strands including the Youth Employment Scheme (YES); Widening Participation in Higher Education – ‘Reach Higher’; Essential Skills; ApprenticeshipsNI; Training for Success; Foundation Degrees and ‘Skills in Demand’ such as the Bring IT On initiative which aims to encourage people to consider a career in IT.